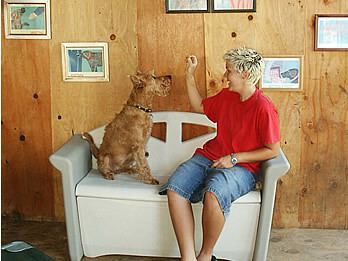 Whiskers Resort caters to virtually all doggies. 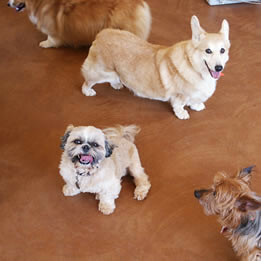 Your friendly, qualifying canine companion gets to enjoy our specialty – Doggie Camp! 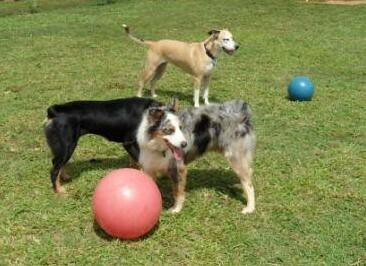 Your pup will enjoy either the small/geriatric play area or larger dog play area. 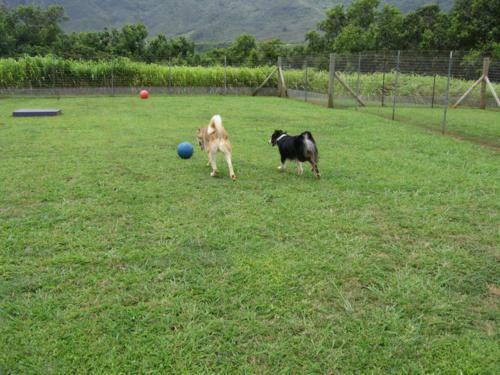 Our play areas are complete with doggie-proof furniture, fun toys and virtually constant access to a doggie field. The Play Park sports its own “Puppy Pool” and its field sees many games of chase and ball. 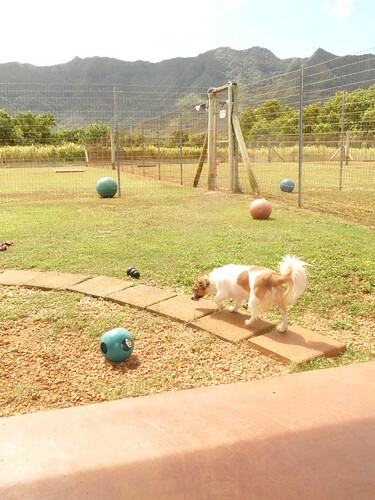 The pups enjoy classical or soothing music throughout the day and a video showing, including such classics as Benji, Lassie and Homeward Bound. 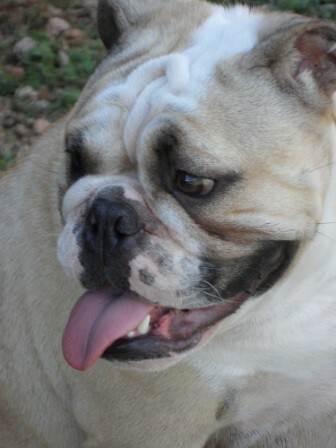 Your vacation is a great opportunity to socialize your pooch. 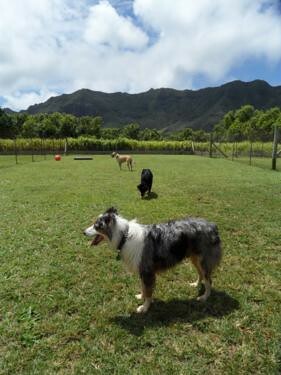 We even have clients send us their pups when they’re on-island for camp or day care – we’re so much fun! 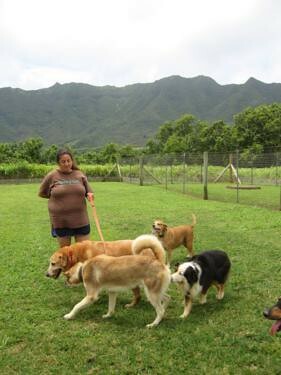 For special needs or less socialized dogs, we offer a more traditional boarding alternative. 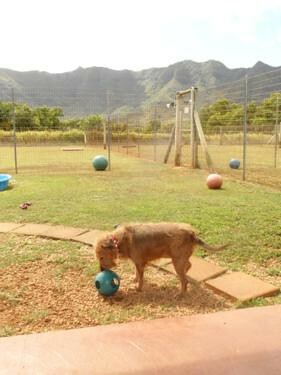 Our covered kennels have a doggie house or crate, orthopedic petcot, and toy basket. 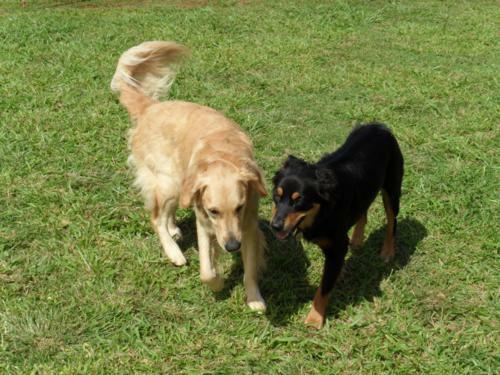 These pups benefit from cuddle and love visits from our qualified babysitters. 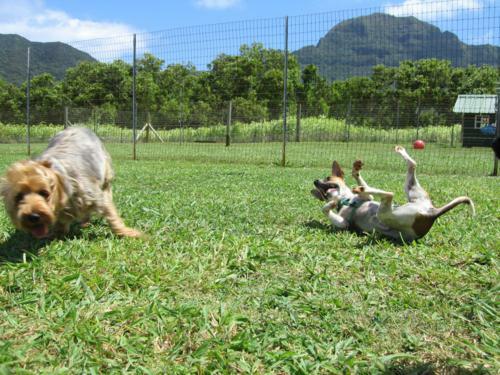 Throughout the day, these pups get their turns in our doggie fields for potty, play, and self-exercise. 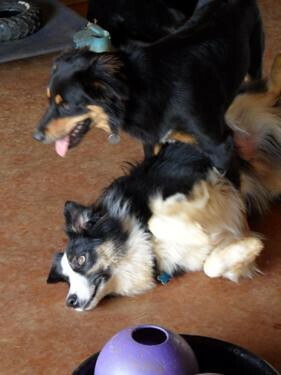 All doggies enjoy companionship from our highly trained babysitters. We take our jobs of throwing ball, lifeguard, camp counselor and cuddler (to name a few) very seriously. Additional specialty services such as fetch sessions, massages, chewies, and doggie hikes are available for an additional fee. There is an overnight caretaker on the premises. 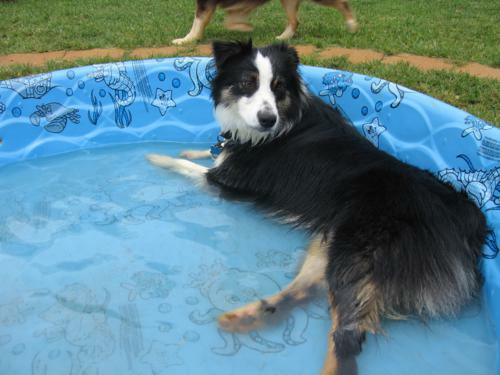 Loving companionship, a fun environment, and an entertaining schedule is the key to a happy vacation for your pup! I have had the great pleasure of getting to know all the people at Whiskers Resort and feel very pleased to know that my “baby” is in great hands. 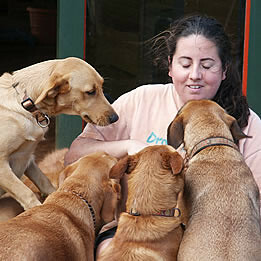 Everyone at Whiskers Resort is very friendly and has a genuine love for animals. 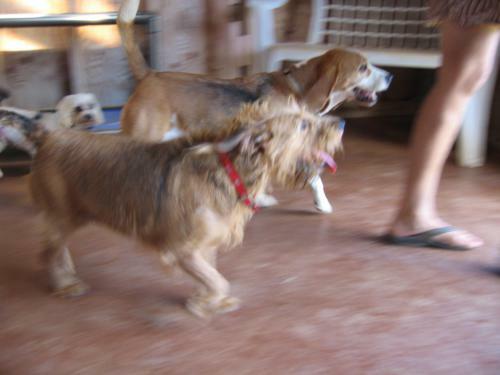 My former dog Champy was a regular there and now his brother Lucky visits often. When I pick him up from staying at WR Lucky is always happy and tired whick makes me glad to know he gets lots of good exrcise. God Bless everyone and a great big THANK YOU! I am so glad that now we have the option of dropping off and picking up on Sundays especially for the times that I am gone thru the weekend! You guys rock! Lucky says Hello and looks forward to staying at his favorite place!